Recorded in Kändler’s work records for 1740–44. 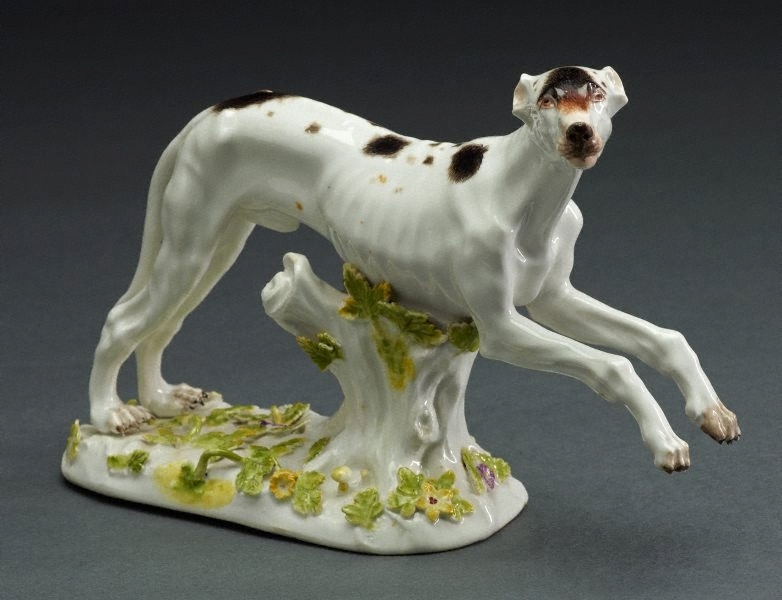 The English greyhound was a popular hunting dog throughout Europe. This model was originally made for a ‘Herr von Bilow’, possibly the politican and diplomat Friedrich Gotthard von Bülow (1688–1768).